On June 15, the Trump Administration announced the final list of $50 billion worth of China imports to receive additional tariffs. The list includes Chinese plastics machinery imports (beginning at 8465.92.00) that will receive an additional 25 percent in tariffs effective July 6. The Administration announced its intention to impose tariffs on these products on April 3 after a Section 301 investigation on Chinese practices and policies on intellectual property, technology transfer and technology theft. 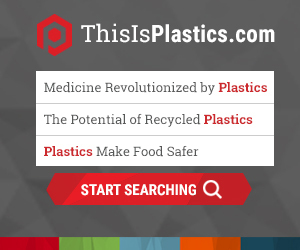 PLASTICS submitted comments to the Administration on May 9 during the public comment period. Please note that these tariffs are separate from the 25-percent tariffs on imported steel and aluminum announced by President Trump on March 8. Also, on June 15, the Office of the United States Trade Representative (USTR) announced proposed 25-percent tariffs on another list of $50 billion in Chinese imports that the U. S. government interagency Section 301 Committee identified as products “benefiting from Chinese industrial policies.” The list includes plastics materials (beginning at 3901.10.10). The Administration will open a public comment period in the next few weeks before announcing which products will be subject to additional tariffs. PLASTICS will submit comments and make members aware of the public comment period in case they would like to respond. The Chinese Ministry of Finance immediately responded with a list of retaliatory 25-percent tariffs. President Trump doubled down on June 18 proposing additional 10-percent tariffs on another $200 billion worth of Chinese products. That list is to be announced by the USTR in the coming weeks.